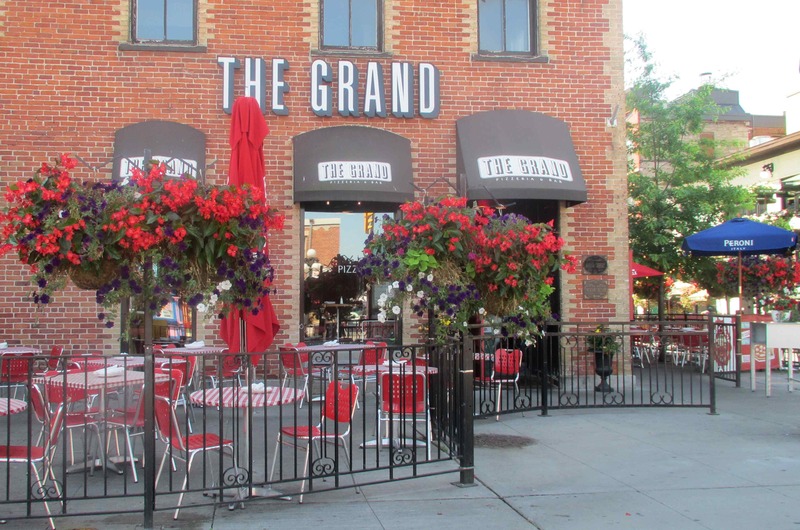 The Grand features one of the larger patios in the Market, being split between a front section on George street, and the side area on the pedestrian only Clarence street. 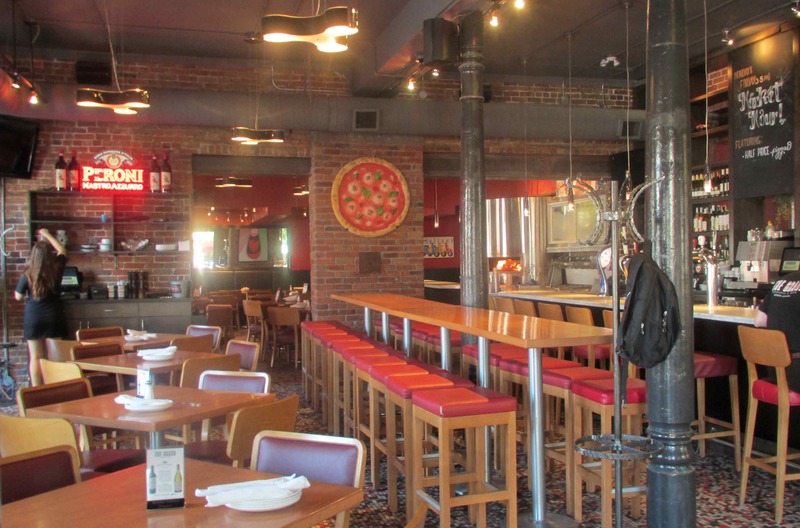 All told, the two areas easily accommodate over 100 patrons without being overly cramped. The inside is very attractive and nicely appointed but, as the temperature was already soaring towards the brutal, I opted for the patio. I arrived on a Sunday, about 20 minutes before the 11am opening time but the young man who greeted me was happy to seat me and even brought me the menu and ice water to keep me going until he could legally serve me a beer. I was tended to by a number of servers during my visit and all were really pleasant and chatty without being overly intrusive. 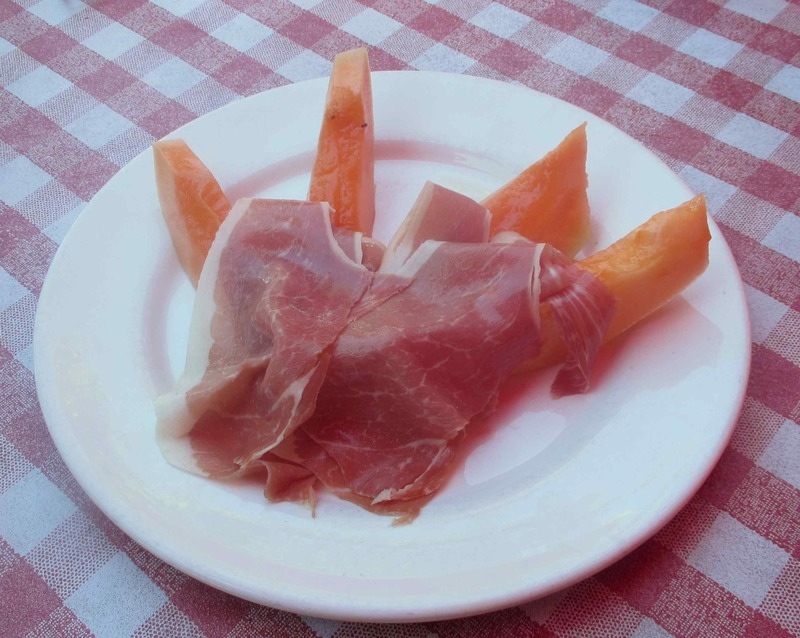 Prosciutto E Melone – The ‘melone’ in this case was cantaloupe, as is fairly standard in most preparations of this old-standby. Generally, this was pretty good as the melon was fresh and supplied in generous portions (indeed, I would probably recommend this as an appetizer for two, rather than one). The prosciutto was as good a quality as one usually encounters in Canadian restaurants and was lightly oiled, which kept it supple and not quite as leathery as it can be occasion. My only quibble was with the presentation, which was really a bit plain and uninteresting. Personally, I would prefer the prosciutto to be wrapped around slightly smaller melon pieces and I think some sort if garnish might be nice. Rating: 3 out of 5. 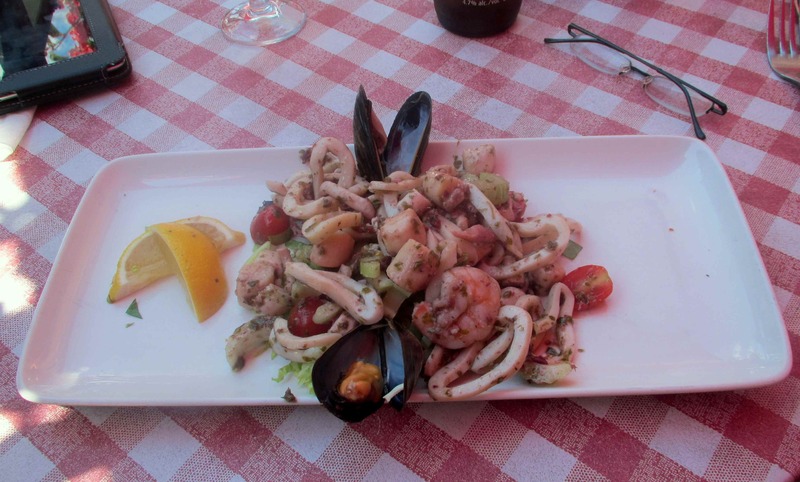 Seafood Salad – On the menu, the description simply lists the main ingredients as octopus, shrimp, mussels and squid, without going into any further detail. I was really torn between this and the steamed mussel appetizer but, since I knew I couldn’t manage both, I opted for this on the advice of my server. In all, it was pretty good and the quantity of seafood pretty generous. The dressing was a very light and mild oil based, herb preparation, in which could detect parsley and, I think, a little basil. It was a bit too mild to help the dish much ( a squeeze of lemon helped), and something just a little more robust would have been better. The shellfish were fresh, if not bursting with flavor, and, though the shrimp were tasty, the squid was rather rubbery and very bland. Interestingly, though most of the dish was cold, the mussels were warm so I think I may have actually got to taste the house steamed mussels without ordering the whole dish. In any event, while not outstanding, I enjoyed this. Rating: 3 out of 5. If were it not for the heat, even in the shade, I might have been happy to while away the better part of the afternoon here as the service was great and the surroundings very pleasant. My meal was not especially remarkable but it was still good and I definitely want to return and try one of the signature pizzas sometime. Rating: 3 out of 5. Just curious… What constitutes a “brutal” temperature to you?